Our Summer 2019 Class List is Here! We have highly talented instructors who not only know their subjects well but also have strong intentions to infuse their delightful personalities and creative approaches to produce results that the students can take away and use beyond our session. Here at Academic Trainers, we’re not kill and drill. We’re about teaching confidence and success through our strategic intentions of coaching in perseverance, discipline and creativity. This goes way beyond the traditional academic support. Depending on the class (see below for more details about the camps that we will be offering) students will have various completed projects and products that they can keep after the class is completed. WHY CHOOSE THESE ACADEMIC TRAINING GROUP CLASSES? SMALL GROUP: We create productive intensity to offer specialized instruction by capable instructors. Because of this, our group sizes will be very small—between 4 to 10 students! WEEKLY OR 2 WEEKS: Studies show that a brain needs time to rest and recover in order to retain and produce excellent work. Independent work will be given to the students to practice skills in addition to the classes. We’ve decided not to do long extended weeks so students can catch a break given the intensity of the classes, and it gives families the opportunity to take summer breaks together without the risk of missing a class or session! COMMUNITY/PEER INTELLIGENCE: Study after study shows that social interaction and peer teaching provides and excellent platform for the student to learn, develop, and display leadership—a huge success factor for excelling in education! Students paying by cash and check will receive a 3% off of their total payment due; $35 fee will be incurred if payment is submitted using bad check. MONDAY: students will take an ISEE practice test (proctored by one of these instructors). After students leave, our team will score, then email to parents. TUESDAY- FRIDAY: instructors will split the class into: mathematics and reading/vocab/writing groups; Lower Level and Middle/Upper Level, per subject. They’ll go over scores with students and begin instruction. 1.5 hours will cover one group, then a 10 min transition break, then students will go to their next group. With 4 days of almost 3 hours per day of instruction, students will be exposed to and obtain trainings on key strategies that cover each main topic. The goal is to have students practice, get exposed, and begin training for ISEE. Students will not master ISEE as that would need more sessions in summer and/or fall. Students will enjoy the last 15 minutes on their Friday session with light refreshments and sharing what they’ve learned and their study plan. *The cost includes: A.T. setting up your Test Innovators account, purchasing your first test, providing a proctor and a proctored session (Mondays), scoring your child’s test, entering scores online, emailing parents, providing 4 days of instruction along with a study kit. Study kit includes: our A.T. test prep book, access to A.T. online vocabulary words (Quizlet), a study notebook with an outlined strategic approach to study for the ISEE and a few other tests, beginning study card set, and instructors will email at the end of the week, a short progress report covering all subjects and suggesting a 4-6 month study plan/approach to taking the ISEE and other similar tests. Students between Kindergarten and 1st Grade. * 4-6 students per class. In this fun, interactive class, Bob will introduce the foundations of numbers, letters and their corresponding sounds. The students will learn how to participate, engage, share turns, and other classroom behaviors. Bob will also allow for social play so students can learn social integration skills and community building through play. With his extensive experience from these younger grades, Bob is able to empathize, relate, and shows incredible patience as these young learners begin to step into the academic world. This class is two weeks long to help students get coached and trainings to get familiarized with the essentials of learning to be in a classroom. *Special needs students up to the 2nd grade are invited to join; please email us for more details. Students who are struggling with reading, writing, and spelling at grade level will get a strong boost in this class! Bob has taught these essential core subjects for over 20 years, helping struggling students (including dyslexics and other LD and special needs kids) to gain strategies and the skills needed to break ground and begin to advance! He is trained in and uses levels 1 and 2 of the Slingerland Method, one of the leading national academic programs used across the United States, and Bal-A-Vis-X Brain-Body Integration, a program that includes whole body movement to strengthen the neural wiring to help students gain visual, physical and cognitive advances in academics and social settings! The combination of these two is quite powerful and effective! Bob is patient and understands the systematic approach to learning these foundations. He makes the class fun and is very inclusive! Students attending this class, at these grade levels will highly benefit from this dynamic integration of BAVX, the Slingerland Method, and other neural strengthening approaches to learning spelling and Math. 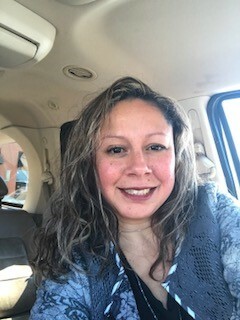 For over 20 years, Victoria has worked with students who have struggled to decode words, rebuild them, and develop a strong recall for math facts. All of these skills are essential for performing advanced work in the years to come. Victoria integrates these movements, helps students to become aware of the best way they learn and loves building a strong camaraderie with her students to show them learning can be fun, learning is different for everyone, and she hangs in there until they’ve mastered the strategy, not the concept! If they can master the strategy, then they know how to approach the concepts. This class will spend 1.5 hours on spelling and 1.5 hours on the math (minus a 10-15min transition break). Collaging is fun, and it allows people of all ages to express their creativity, but there are other brain and academic benefits to this craft too! Some of these benefits are: learning visual spacing, engaging/stimulating the left and right hemispheres via creativity and linear planning, developing patience (greatly needed for developing math concepts), creating confidence upon producing a final product. It’s a fun and constructive outlet to take off stress! Taking a break from school and sports to produce a creative collage is excellent for any child (even adults!) We’ll be collaging: a few canvases, some of your school tools and we’ll upcycle recycled materials. On Friday, we’ll have an open house gallery so friends and family can see our beautiful masterpieces we’ve created! This is an excellent class for students struggling in their writing and reading comprehension. Victoria will combine brain to body integration movements, BAVX, as warm-up’s. The class will then read The Phantom Tollbooth together. Daily, different strategies will be presented for students to learn/acquire, to develop deeper comprehension and comprehension strategies. Kim Murray is an elementary school teacher of 20 years and an instructor at My Happy Place Art. She has a BA degree in Art and has recently begun teaching private and group painting lessons through her new art business. 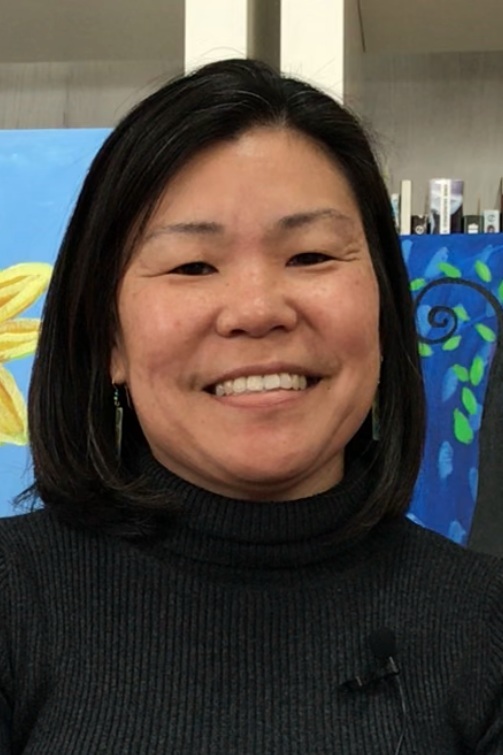 Teacher Kim loves working with children of all abilities and ages, and is passionate about sparking children's artistic expression through all kinds of mediums. Students will be painting 2 to 3 art pieces during their week long classes. They’ll learn important facts such as color planning and elements. 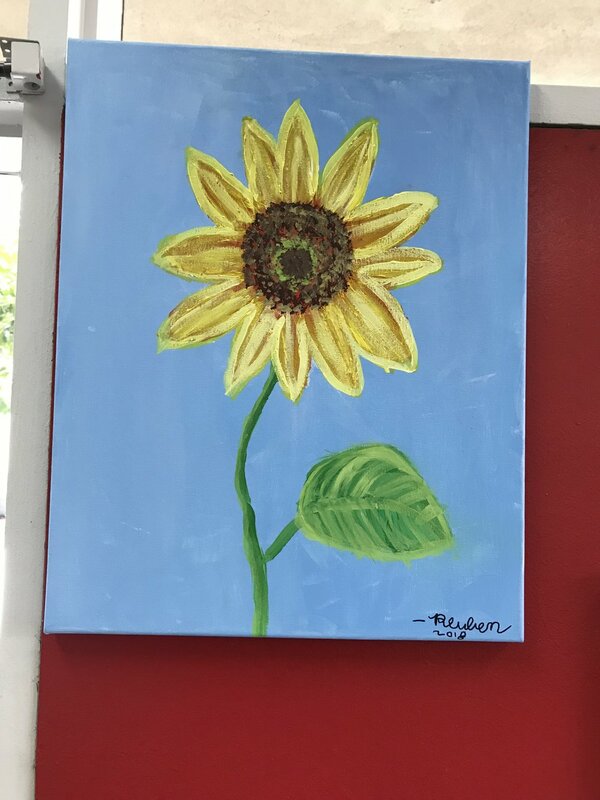 Even more important, since Kim is a long-time academic instructor, she also places emphasis on the brain/learning benefits of painting and shares them with her students. She’ll share how painting activates left/right hemispheres of the brain, exercises visual/spatial planning, increases serotonin levels, develops patience, and supports with gross/fine motor and visual/conceptual planning. It’s a fun way to learn ‘how they learn’ and they’ll walk away understanding more of their learning styles in the process! On Friday, we’ll have an art gallery showing so family and friends can view masterpieces that were created during the week! We hope you’ll join us! Bryce will be hosting a camp this summer at Academic Trainers to teach your students how to play chess! Chess as an activity has various benefits to the brain, including: math skills through moving pieces, logical reasoning, visual spatial awareness and processing, and planning.